1). 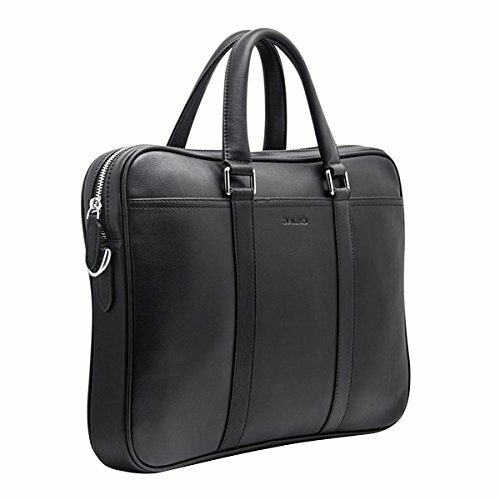 Style: Classic design with genuine leather material will never be out of style. And the briefcase can be wildly used in different occasions. 2). Material: The bag is made of genuine leather, beautiful, durable and tough, so it can be used for a long time. It is a good choice for a person who is not likely to change his bag frequently. 3). 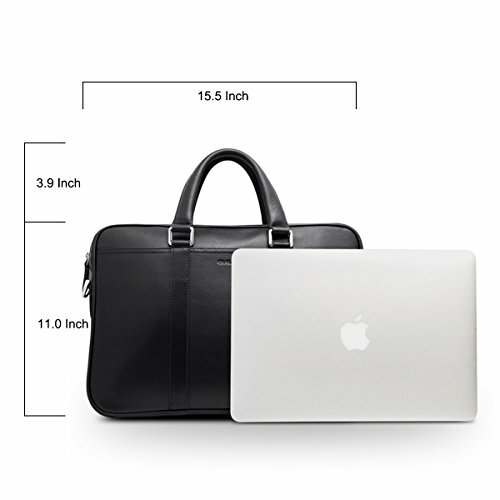 Large capacity: 15.5*11.0 inch can hold 15inch computers or notebooks, larger capacity can basically meet your needs. 4). 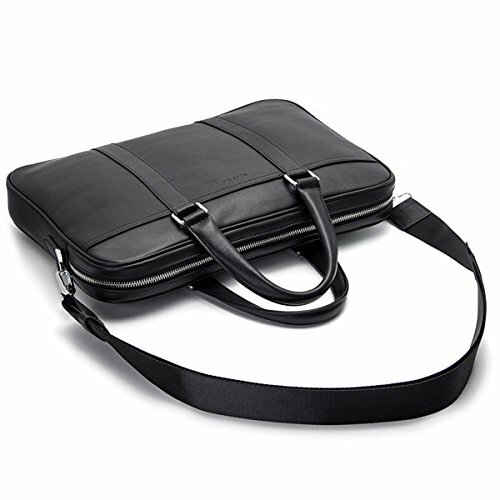 Easy to carry: Comes with 2 handles and shoulder strap. So you can carry it by your hands or shoulders, and shoulder strap is detachable and adjustable. 5). 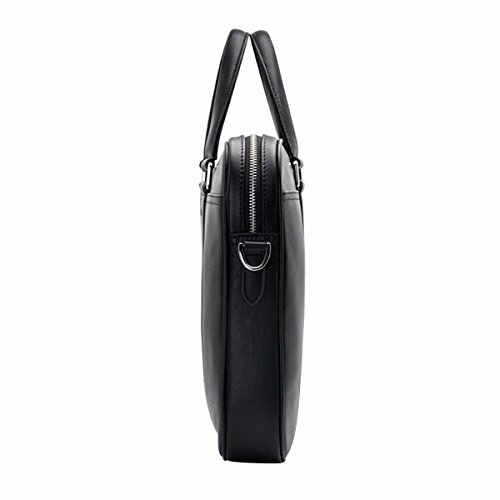 Zipper closure design: Can guarantee the security of your bag, and it is easy to take items from bag. 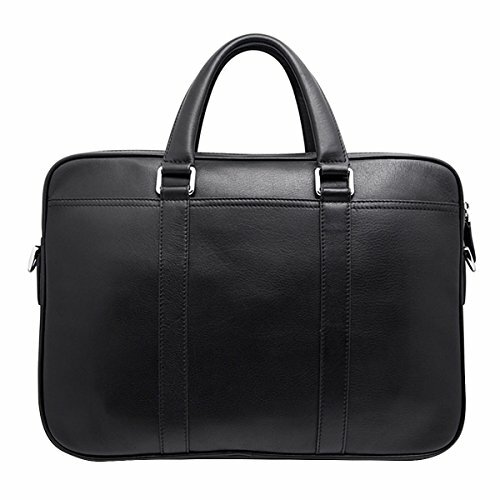 Men’s classic genuine leather briefcase, can be used as laptop bag, handbag or single-shoulder bag. Premium material makes it stain-resistant, durable and lightweight. Simple and classy design allows the bag can be used in different occasions, whatever university class or business meeting. Before shipping, we will check every product carefully. And if you meet any problem, please contact us, we will do our best to meet your expectations. *due to different computer screens, the color of actual item may slightly vary from images. *since each measurement is different, it is normal to have an error of about 1-2cm. 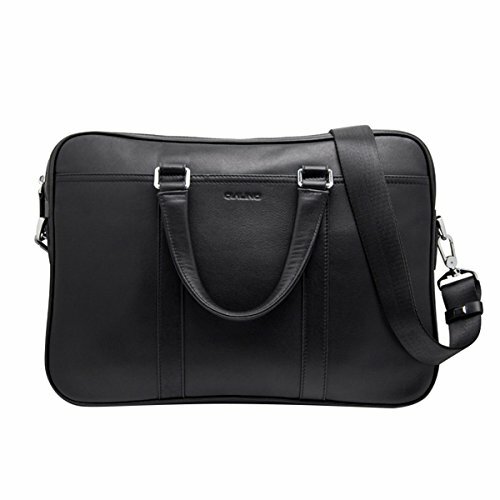 *because of the genuine leather material, the bag may have a slight smell.